Congratulations to Karl in Year 13 who has joined the Northern Ireland Grassroots Youth Forum. Karl took up his place on Saturday 6th April when he attended a meeting at the Seamus Heaney Home Place in Bellaghy. The Forum works to improve the Grassroots programme which runs throughout Northern Ireland. 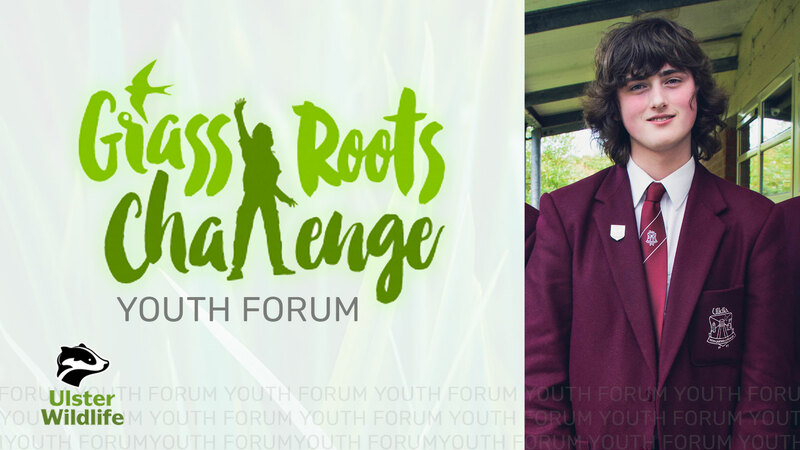 Karl is currently the chairperson of the Eco Team in Ulidia Integrated College, and has worked hard to improve our local environment – being chosen to participate in the forum is a well deserved achievement for this environmentally conscious student. On Saturday 6th of April I met up with the Grassroots challenge forum team, a team which focuses on how to improve and talk about the Grassroots Challenge for young people across Northern Ireland. On Saturday we firstly introduced ourselves and did an ice-breaker game. After the game had a look around the Seamus Heaney exhibit, we were all given audio devices to help guide us. The exhibit went through Heaney’s personal life of his family and where he grew up with pieces of his work on the walls and how he was inspired. After the exhibit we planned future meetings and where to host them. After our lunch we went back inside and learnt about Owls in Ireland and dissected owl pellets and took a survey of what bones we could find inside, this told us all about their diet. When we finished the dissection we all then went into the auditorium where we planned an annual special celebratory event. I really enjoyed the meeting, especially getting to know the other members of the forum, and am looking forward to the next one.